It's quiet. So quiet you can hear a the soft, subtle whirring of your PC's fan blades, mixed with the hum of an air conditioner. We've entered the summer slump, all right. With E3 out of the way, we've got a little peace and quiet from here until August, when the game releases really start to pick up again. Perfect timing, too: With the Steam Sale going on through the end of the month, you'll probably find plenty of titles resting your backlog before long. But even so, the world of games never rests completely. Here's all the gaming news fit to print for the week of June 16. Did you skip over Titanfall at release? Well now you can try out Respawn's Call-Of-Duty-Plus-Mechs-Plus-Parkour for yourself—EA is making the full game free to play for just this weekend on Origin. Come Monday, you'll have to purchase the game to keep playing. It's part of EA's new "Origin Game Time" program, so there'll be more of these games coming in the future. The feature isn't very dissimilar from Valve's own Free Weekend program, which as you might guess allows you to try out full games for the weekend. At least EA is trying to reach feature parity with Steam though. It's a nice effort, even if Origin seems doomed to "also-ran" status due to its heavy concentration of EA titles. Dead Rising 3 on PC is a real thing, now with a real release date: September 5. I guess that's still technically "summer" like Capcom promised, but we're stretching the definitions a bit. Regardless, you'll be able to pick the game up for $50. No word yet on whether the DLC is also coming to PC. There's also reportedly a feature-length Dead Rising film in the works, in case you're not tired of hearing about games securing movie deals and then never releasing a finished product. Ironically, the film will come first to Sony's Crackle service. I guess Microsoft couldn't lock down that exclusivity deal for the film. The people over at once-proud gaming behemoth Atari have announced a "comeback strategy," after last year's bankruptcy filing. Most of it is pretty tame—they plan to bring their games to new platforms like iOS and Android, double down on hardware and apparel licensing, and focus on branding. "Atari is more than a game publishing company; it’s an iconic brand that has established a passionate and timeless culture," said Atari CEO Fred Chesnais, mirroring similar words from earlier this year. However, the company also said it plans to reach out to new markets, including social casinos and real-money gambling. Oh Atari, what has become of you? Remember before the new consoles came out when people said "I just don't even understand why we need new hardware? This hardware is fine!" Maybe this Grand Theft Auto V video will finally put that argument to rest. Digital Foundry went through and compared the PS3 and PS4 versions of GTA V and the results are pretty spectacular. The largest video game collection in the world—eleven thousand games—was recently sold for $750,250. While that sounds like a lot of money, it averages out to about $68 per game. That's depressingly close to what you would've paid to simply buy all those games in the first place. There's this little thing called the "Steam Summer Sale" happening right now, and we've got tips on both the best hidden game deals and how to save your money during the sale. And Linux fans? Stay tuned this weekend for an article from resident Linux gaming advocate Brad Chacos exclusively focused on Linux sales. 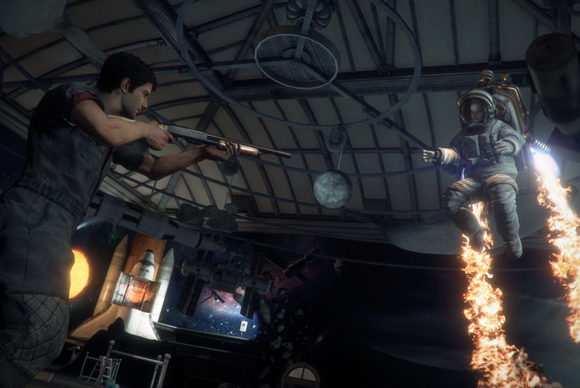 But it isn't all Steam Sales this week—there was also the E3 runoff to contend with. I went hands-on with Alienware's PC-for-the-living-room Alpha , plus wrote up impressions on Assassin's Creed Unity, Pillars of Eternity, Rainbow Six: Siege (a.k.a. the most exciting show of E3) and the Dying Light/Dead Island one-two zombie punch. And there's still more! The Steamboy Machine aims to make PC games portable, we look at other portable PC gaming options, Samsung files a trademark for Gear VR, and a modder finds hidden files in Watch Dogs that make the game look more like the E3 demo of old. Great, in other words. Quite an eventful week, considering how quiet it's been! Try not to spend too much money on Steam games this weekend, and we'll see you back here next week! 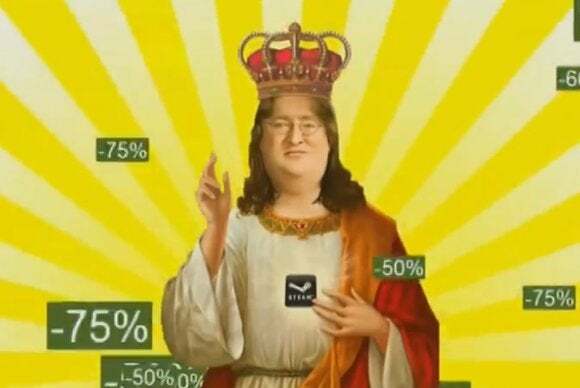 Primary image taken from Gaben.tv, which undoubtedly took it from somewhere else.